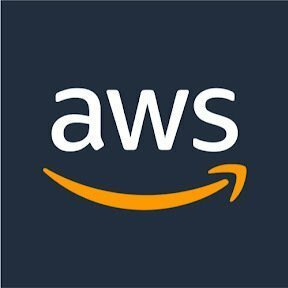 Work for Amazon Elastic Block Store (EBS)? Learning about Amazon Elastic Block Store (EBS)? "Persistence and Availability in the Cloud "
Elastic Block Store volumes are the best way to store persistent data in your EC2 instances. They are very cheap, and having your data persist between instances allows you to pick up where you left off if you are using spot instances for example. You can also specify IO throughput and even attach multiple volumes to a single instance. Debugging slow performance is very difficult with EBS volumes.The issue with cloud infrastructure is that your hardware is thousands of miles away and only accessible through limited means. I wish amazon would create tools to run on the instances to detect why a volume is not hitting it's performance targets but I understand what an undertaking that would be for them across hundreds of thousands of instances and volumes. Make sure that you choose the performance level that you need for IOPS. if you need to be doing heavy db analytics and purchase a large instance to do them, the IOPS on your EBS volume will decrease your cost efficiency by throttling the reads and writes above a threshold. Allows you to persist data across the launching and terminating of multiple instances. Really good for cluster work with spot instances, meaning you can take a non-time sensitive project and complete it at the cheapest available price (nights usually). Or you can complete it across multiple sessions if you have reserved instances that are available. It has an incredible amount of use cases and should be used heavily by anyone using AWS. "Works reliably and as needed"
They're easily deployable, attachable, configurable, scalable, movable, and reliable. My organization doesn't do anything fancy with them but we've had no issues related to EBS failures. The option to encrypt (along with the management features for encryption KMS) is convenient for our security-minded organization. Not elastic. Unsure if there is an easier way to operate via OS level or whatnot, but it would be nice to be able to scale down snapshots and AMIs to the minimum amount of space required rather than the native EBS size of the snapshot/AMI created. Otherwise, nothing else is wrong. If you have no extreme requirements and simply require an easy-to-use, straight-forward solution for direct-attached storage for EC2 instances, EBS should be an apporpriate solution for your business. They're the most efficient, straight-forward, and reliable solution for our direct storage solutions. We can move them around as needed, back up, restore, reconfigure, and scale. Our organization is still new to AWS but EBS has been an easy-to-learn feature in partnership with EC2 instances. We require decently-sized volumes for critical data. "Almost every feature you need, and some more you didn't think you would need"
Sometimes we need to use snapshots to copy data into other availability zones, or to replace a volume attached to an instance. This involves creating new volumes, detaching old, and attaching new. Without manually tagging the volumes, or writing down the volume/snapshot IDs, it's easy to get confused which volume is which. The ability see more information about an attached volume in the ec2 console would be very valuable. A feature to replace a mount point vs detach, then attach workflow would cut down on errors and increase speed. For on-prem we split our MongoDB instances in order to receive good performance. In AWS the EBS scales high enough so that we no longer have to split our MongoDB instances due to traditional storage limitations. Being able to change provisioned IOPS allows us to save and scale when necessary. "EBS should stand for Easiest Block Store"
I love how easy it is for me to create a snapshot of a volume, create a new volume out of the snapshot, and deploy the new volume to a virtual machine. It takes all of about five minutes to complete the process, and when it comes to doing any kind of testing, it's a valuable tool. I dislike how difficult it is to set up automated backups of volumes. Some regions have new functionality via CloudWatch that let you schedule backups, but it's not available in all AWS regions as of September of 2018. Some of our regions have heavy backup requirements, and we're dependant on EBS snapshots for those backups. Setting up new backup sets is tedious and takes more time than it should. We have the need to be able to quickly deploy large volumes without a lot of effort. We also have a need to back up those volumes so that we are meeting our internal compliance rules. "Flexible storage option for Amazon EC2 instances"
EBS is very good as a flexible storage option and provides multiple levels of performance, such as HDD based, SSD based and you can also choose the iops that you want the volume to provide. If it is used as a volume other than the root partition, you can also increase or decrease the capacity in less than 10 minutes. EBS.also has the option to take a snapshot, attach to a EC2 Instance, in case the EC2 Instance which it was attached to originally is being retired by Amazon. Nothing much to dislike. It would've been great if at least for the Amazon Linux instances, there is a provision to automatically increase the mount volume without the need to login to the system to expand the filesystem. For some of our EMR clusters, from time to time, due to the variance in volume of data we have to increase or decrease the volume of the filesystem, EBS was very useful in that regard, and also it performs really well. At first it wasn’t so user friendly. But once I got the hang of it I realized it wasn’t as bad as I had initially though. It has played a major role in helping us to find at a great price the items that we need on the fly and with expedited shipping isn’t costing a arm and a leg to get. EBS is the main service and best service to solve storage issues for all users, the main like and advantage for EBS is storage and pricing, which is the best thing, aws have many type of EBS like simple ebs, s3, glacier. This is the service which depend upon user to use as it has many options if customer is using disk. very useful and good service to resolve storage problems and used world wide. Can say main service of aws and should be used by everyone. Increase the speed and reliability of system and increase the performance. "Never had an easier time moving "hardrives""
I like how easy it was to disconnect the block from its original ec2 instance for maintenance purposes. After a forgotten policy caused everyone to be locked out of the system, I was able to attach the block to another instance and recover access to the system. I have not found anything about elastic block store that I do not like yet. Having the ability to detach a block from an instance and attach it to another has helped greatly when trying to ensure that important data can be recovered quickly in the event that the operating system becomes non functional. EBS is secure, and the availability is crazy.I really like that it allows you to create snapshots, which can be backed up to a designated bucket in Simple storage service (S3). Very secure as with IAM security policies you can specify who can access the storage. perfect for the use of EC2 instances. Deploy to multiple availability zones for higher availability. My workplace is migrating all services to the cloud. EBS will be used to hold the data. I am not sure as to what the actual use will be since we will be use ECS rather than EC2 instances. I am looking into this as I am currently working towards the AWS certifications. "A solid solution for EC2 storage"
It's a simple and stable way to handle primary storage across single or multiple instances. Having the flexibility to create snapshots and essentially duplicate an instance is very helpful. Honestly, it's a very good, utilitarian solution. The only negatives can that if someone doesn't understand some of the commonalities and intricacies of EBS, they may not understand how to configure for optimal performance. I assume a lot of people set up PIOPS EBS volumes and wonder about performance. We are able to fine-tune our performance needs, while controlling budget. It's very useful to be able to simply resize a volume, or run additional volumes to boost aggregate burst performance. "Amazon Elastic Block Store (EBS) Review"
Provisioned IOPS for demanding applications like NoSQL databases. It is also replicated across availability zones, and has quick boot times. If you hosting servers for whatsoever reason on AWS, you should consider EBS if you after performance. Hosting demand applications like databases and video production. "Storage that can live longer than the instance that run on it." EBS storage can be used to preserve application state beyond the life of the instance. By manually attaching the storage after an instance starts, the availability of the state of a single instance can be greatly increase without the need to replicate the state back into a single instance. The only downsides are the need to manually attach the storage after an instance failure and the performance of an EBS volume is less than a directly attached instance. I have been able to increase up time without having to duplicate the cost of an entire cluster. This has helped reduce cost while delivering an acceptable availability. Very easy to attach to resources, sizing is very transparent and so are the different ebs volume types. Corrupt volumes bringing down production systems where this would then translate to having to rehydrate or reingest data that was reliant on the EBS. Be wary of having a strict reliance on this file store to support your information indefinitely and without any hiccups. Make sure to have redundancies and processes in place to resolve and handle any issues that you may experience in the event of a failure. Instance store used by the resources we run in Production and development environment. I love EBS because of its storage and pricing, which is the best thing.EBS is very good as a flexible storage option and provides multiple levels of performance. Losing data if system crashes and the price can be high. Storage is one of the biggest benefits of EBS it holds a lot of data. "Amazing AWS has a awesome EBS"
Elastic Block Storage (EBS) is definitely the most sophisticated and future proof storage options in the present. Undoubtedly the best in the world! I don't see any major dislikes with this product. "EBS is great way to manage storage on EC2s"
we use EBS as the volume solution for all our ec2 instances. it is easy to manage and backup. EBS has the best attach and detach application to date. no option to auto tag volumes once they are attached to a instance with the instance name/instand id. using ebs to expand storage on instances that have grown too close to capacity. "Good to use and very reliable and scalable"
This is very scalability and high availability. This service is consuming iops with credit so we need more credit using high iops. We need a high speed network disk storage so Amazon Elastic Block Store is good for me. AWS EBS is a solid storage solution for cloud EC2 environments, even with data platforms. When configured correctly, and when properly monitored and managed, you can ensure that disk performance is provided in a cloud environment. There is management that is required to ensure that you aren't exceeding IOPs allocations. It can be challenging to properly review volumes presented if labeling isn't consistent. Plan your file mapping carefully to ensure consistent performance. Moving database platforms to the cloud. Nice array of options for different block device needs. I/O speeds are great. They are provided consitently and have great redundancy and the snapshot management is great. For our usage purposes, it would be nice if there wer a smaller volume modification limit interval. We use EBS to manage customer data through a hosted cloud solution. One of the major benefits has been the in-place resizing of drives. What I liked the most of this service is that the Elastic Block can be attach to (or detach from) any EC2 instance, giving you the advantage of replacing the type of instance but keep the data. EBS in some way have issues at the time of IOPS, it would be good if they improve that. Managing cache databases that are constantly in change of size. "amazon elastic block store "
we are using this for data storage and in the data pipeline. "Elastic, Resilient, and Future Proofed"
Amazon EBS, delivers flexibility to store, move, and manage all in real time without any downtime! The EBS service rocks! Nothing! Amazon EBS is headed in the right direction and the AWS Consumer community looks forward to further maturity of the service. Flexible Block storage with the abulity to move and migrate on demand based on performance, capacity or bandwidth. Fast, easy to provision, good pricing for what's provided. Really not a lot. If anything, I wish EFS was cheaper. Storage for all EC2 instances. It can be difficult to use in a shared aws account space. you pay for what you provision, not use. use it as local storagge. "A SAN in the cloud"
EBS provides decent throughput for most storage related tasks. It allows for predefined IOPS as well for those tasks that require more IOPS as well. General data storage across various workloads. "Network Attached Storage at Scale"
I love the way ease with which I can provision EBS via single command. The new EBS snapshot lifecycle management is industry leading. Can attach the EBS to another instance simultaneously. Speed of provisioning the storage at scale. Speed, cost optimization & Operation efficiency are the few benefits that we have identified in our production environment. The option to select right device type for right workload and best pricing options for saving cost where necessary. If we can have more IOPS support for smaller sizes help in some cases. Provides great performance at storage level for applications to store and retrieve data with faster speeds. Nothing really. EBS "Just Works" and I like that. Like I mentioned before, I use it mostly for Key:Value pairs which allows me to store configuration information. "It made a lasting impression "
I like that it is able to be simple and have a lot of controls. It is not so obvious to use some of its key features like sharing a document. With this program, we are able to store items in our business inventory and track them. "Excellent flexible storage service but lack of visibility when it comes to snapshot costs"
Very simple service to use to provision storage for your EC2 instances. None that we have encountered so far but maybe speed and performance for those who have the need. This is the fundamental building block for ec2 instances to have storage. "EBS works well for storing binaries and temp files"
that if you dont persist EBS data it can get wiped out. the settings have to be chosen properly. Storing binaries and temp files for application software and web server as well. "Using EBS to underpin SAP instances"
Keeping downtime minimised on our Enterprise SAP systems by making storage changes online with SAP up and running. "Easily migrate storage between instances"
Very easy to use and setup. We were up and running using block storage very quickly. Saved us a lot of money. We didn't discover it earlier. Nothing else. "EBS makes it easy to scale my storage"
Expanding existing storage is somewhat slower than I'd like. EBS is a fundamental service to AWS. I love that Provisioned IOPS now has a higher throughput for heavy read and write applications. Nothing at all. I think it is working very well.
" Prevention of data loss." Helps data availability when compared to SSD devices. i use them to back my database stores. "easy storage choice with predictable performance"
They just deliver the performance of a fast local disks/ssds. They cant be shared across instances.So I can't use them as shared cache across different instances. Using EBS for caching and delivering performance. Firstly I disliked that I am not able to share the storage, but EFS satisfied me. Store the application persistent data. "Love the new capabilities and enhancements of EBS"
Volume Cloning and new features on Iops and replication. "Need larger size volume support"
* We monitor all Amazon Elastic Block Store (EBS) reviews to prevent fraudulent reviews and keep review quality high. We do not post reviews by company employees or direct competitors. Validated reviews require the user to submit a screenshot of the product containing their user ID, in order to verify a user is an actual user of the product. Hi there! Are you looking to implement a solution like Amazon Elastic Block Store (EBS)?